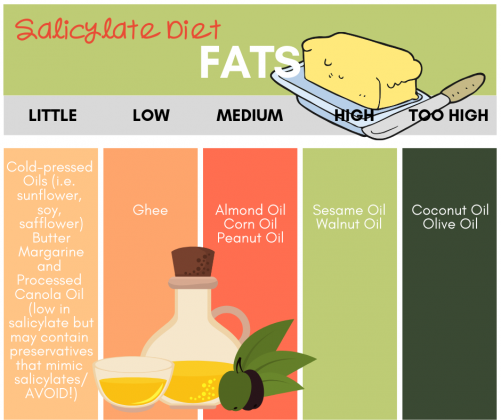 I’m not a HUGE advocate of restrictive diets, especially the Low Salicylate Diet. I do, however, put people on them for various conditions as past experience has shown that they help tremendously. But there must be excellent research (or thousands of anecdotal case studies) about these compounds before I would even consider putting people on a diet to counteract them. For example, there’s tons about gluten sensitivity. 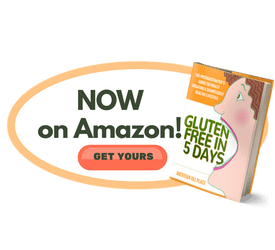 As a matter of fact, a 2016 study by researchers from Columbia University all but proved that any gluten consumption rips up the gut … even in healthy individuals. That’s why I wrote the book, Gluten-Free in 5 Days. I went gluten-free five years ago and have nothing but good things to say about it. And after reading that study, I now believe that going gluten-free might benefit everyone! That’s why it’s very hard to make definitive categories for them. The level of gluten in foods doesn’t vary much. 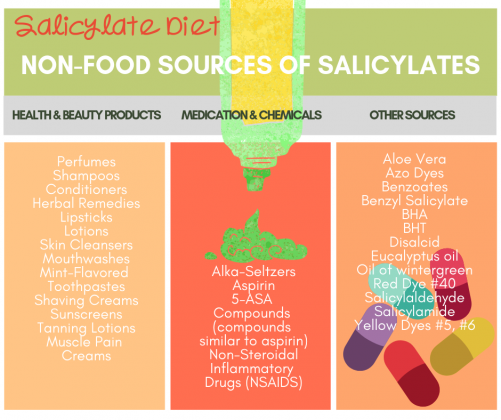 But when I did the graphics for the Low Salicylate Diet below, I consulted many lists … all disagreed. So these are the best guesses I could figure out … but at best they’re only guesses. I once had a client who mourned eggs for two months. As a practitioner, I’m very sensitive to what clients will or won’t do. You can give a client the best diet or best supplements in the world but they won’t be effective unless they do or take them. And, if they actually do the suggested diet, clients may get frustrated, confused, and start restricting more foods as they start obsessing about what and what not to eat. The result is that they’re always playing what I call “diet-catch-up” … trying to figure out what other foods don’t work for them. And restricting even more until there’s literally nothing left to eat. As a matter of fact, the person who contacted me this morning had tried the Low Histamine Diet and was now moving on to addressing salicylates because … in her own words … “it appears that salicylates are also playing a role in my symptoms which are getting worse”. There’s a core reason that you feel lousy. I always say that “Health starts in the Gut”. And, since 80% of us have leaky gut, a condition where toxic stuff gets into the bloodstream that shouldn’t be there, our body’s reactions to this “stuff” can have different manifestations. In other words, if you’re genetically predisposed to a foot problem, you’ll get a problem with your feet. Or your skin. Or your thyroid. Or … you name it. Our bodies are really wise. They’ve developed mechanisms to extract needed nutrition from food and clear away those other elements that aren’t needed or wanted. 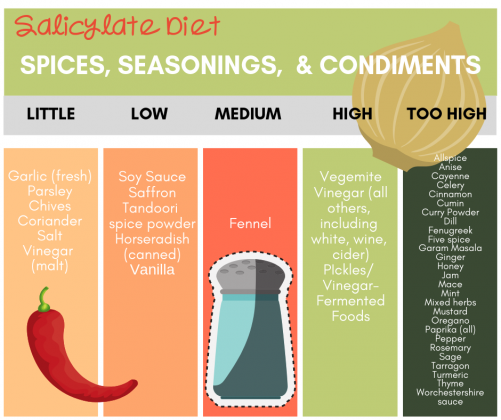 They clear away the salicylates (and the other compounds I talked about earlier) in food by detoxifying them. There are enzymes we make that do this. And if we have those enzymes, it means that our bodies are meant to handle these compounds in positive ways. But a deficiency in these enzymes, which many people think is the root cause of these sensitivities, is RARE. Much more common is an overload caused by the inability of your gut and liver to detoxify the flood of toxins from many sources. Including natural compounds like salicylates. 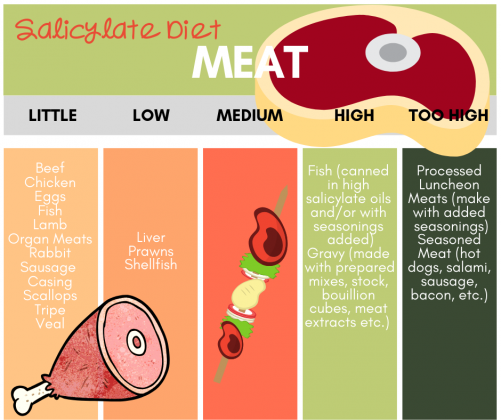 So Why the Low Salicylate Diet? 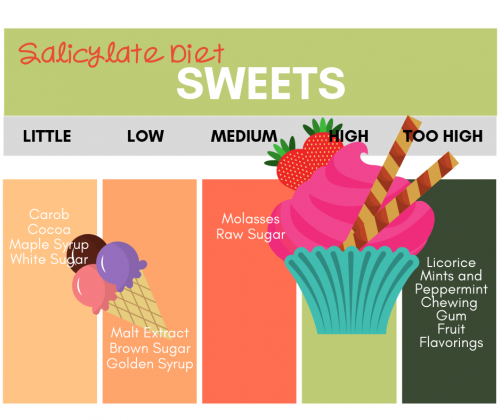 Well … as I said … I’m not a huge believer in restrictive diets. But I DO believe in giving them a try to find out if there’s a deeper problem that needs to be explored. Use the list as a guideline. Don’t go crazy checking out every similar diet. Pick this one (or another) and start with that. 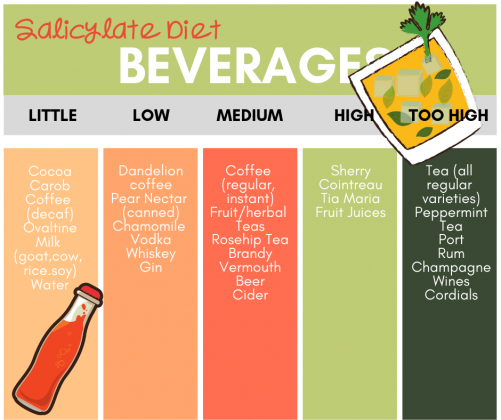 Find the best diet for you. No list fits perfectly. Experiment and find out what works for you. Give yourself a time limit and stop if it’s not helping. Follow whatever diet you choose closely for a time … like two weeks. At the end of that time, ask yourself if it’s helped. If you’re not sure, it probably hasn’t made enough difference to continue. Try one diet (or other treatment) at a time. I always start treatment with the appropriate diet while I’m waiting for test results. And then I recommend supplements, which I suggest beginning one at a time too. That way, I can figure out what does (or doesn’t) work. Experiment further to find personal food tolerances. Everyone responds to foods differently. 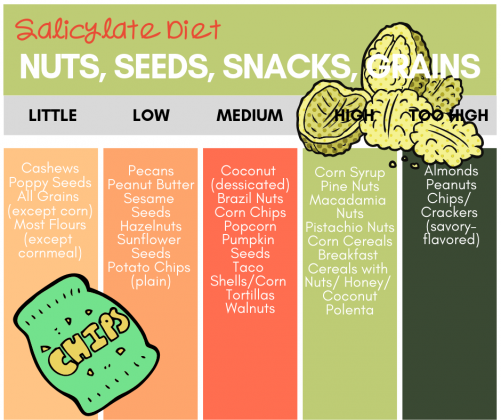 Therefore, you may be able to tolerate lots of popcorn (medium salicylates) but can’t eat cashews at all (negligible salicylates). 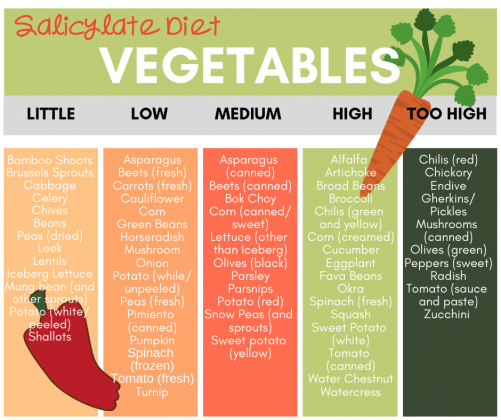 If you’re not sure which food is a problem, begin with the first column the first week and keep adding food in the “low” and “medium” columns once a day to see if any are reactive. feeling lousy has a root cause. Find out what it really is by going to an alternative/functional medicine practitioner. Click To TweetMany like me are virtual and worldwide. Previous Post: « Oh No You Didn’t … Say That, Doctor!